In getting healthier, I find myself turning to high protein, high fiber foods to make sure I'm full and repairing muscle. Healthy men and women don't needs as many grams of protein per day as you might think (usually 46 to 56 grams) but if you're working hard to build muscle, you'll need more. There are all sorts of resources on how much you need online. You can start with the CDC's recommendations. I am working on a healthier meal plan that is heavy on protein and fiber. I'm not cutting carbs because they are necessary to healthy body function. The key is not to get carbs from refined, processed foods. Here is a collection of high protein vegetarian recipes I love from this site and from others. 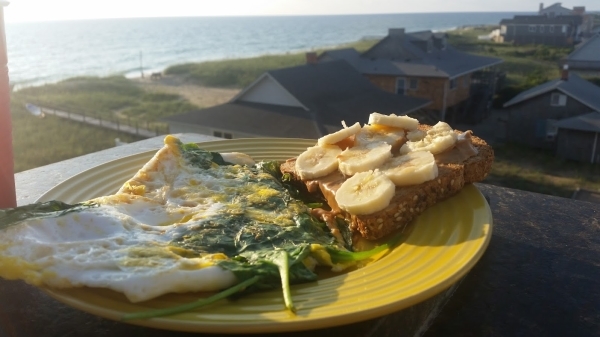 Egg White Omelette with Spinach and Bananas on PB Toast: This is Asher's favorite morning meal (he made the meal in this picture). He uses 1 egg and 2/3 cup egg whites for the omelette and adds whole baby spinach leaves. Before cooking, he sprays a little olive oil cooking spray in the skillet. On the side, he has all natural peanut or almond butter on a slice of toasted Ezekiel bread with banana slices. 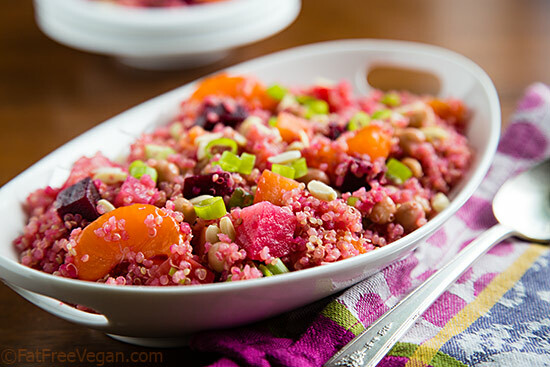 Beet and Quinoa Salad with Maple Balsamic Reduction: I love beets and quinoa so this salad from Fat Free Vegan is one of my favorites. Quinoa actually packs a protein punch and provides a lot of fiber. (5.6g fiber and 9.5g protein). You can get the recipe here. 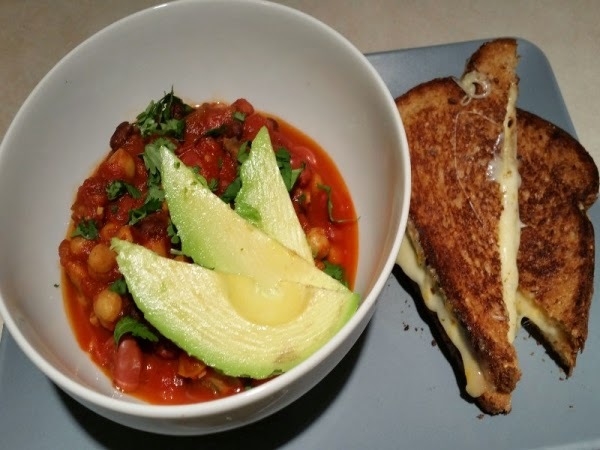 Chili with Avocado and Grilled Cheese: I use three types of beans in my chili--all packed full of protein and fiber. Adding a ooey-gooey grilled cheese (on Ezekiel Bread) on the side increases the protein a little more. You can get the recipe here. 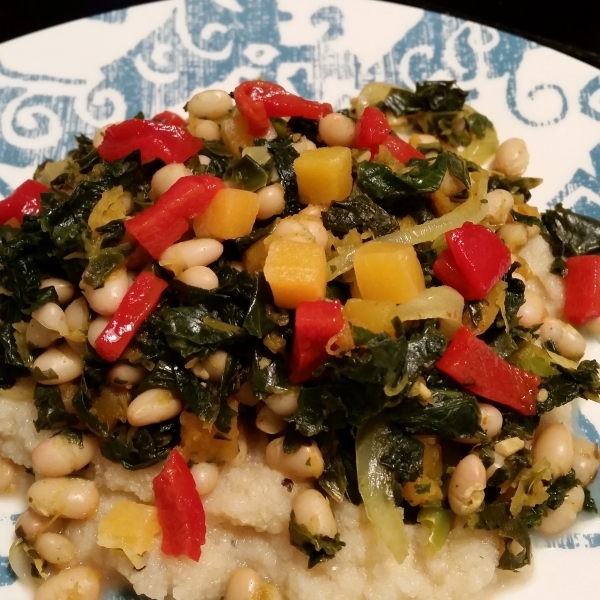 Kale, Butternut Squash and White Bean Saute over Cauliflower Mash: Superfoods and protein? What could be bad. You can get the recipe here. 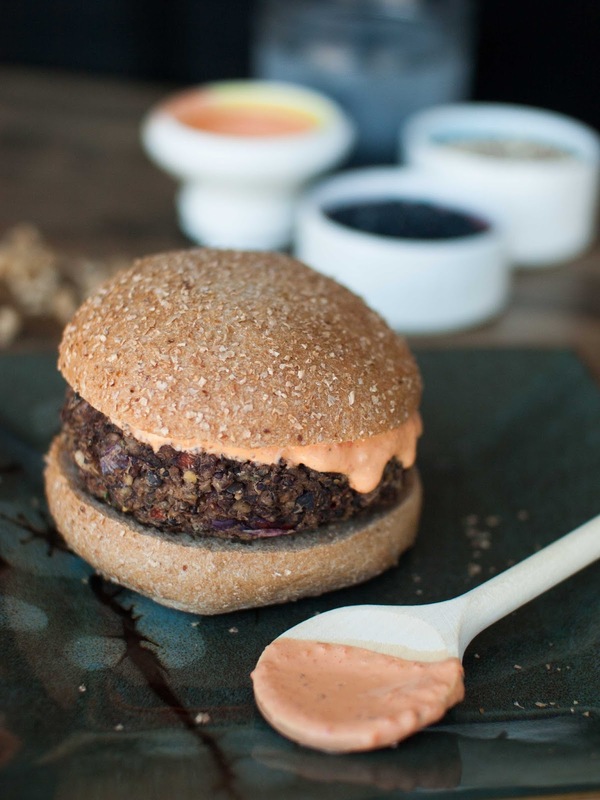 Protein Powerhouse Veggie Burgers: The great thing about veggie burgers is that you can play with the ingredients until you find your favorite combinations. This one uses quinoa (one of my favorite high protein ingredients), black beans and lentils for a delicious result. You can get the recipe here. Low Carb Stir Fry: I love a good stir fry. 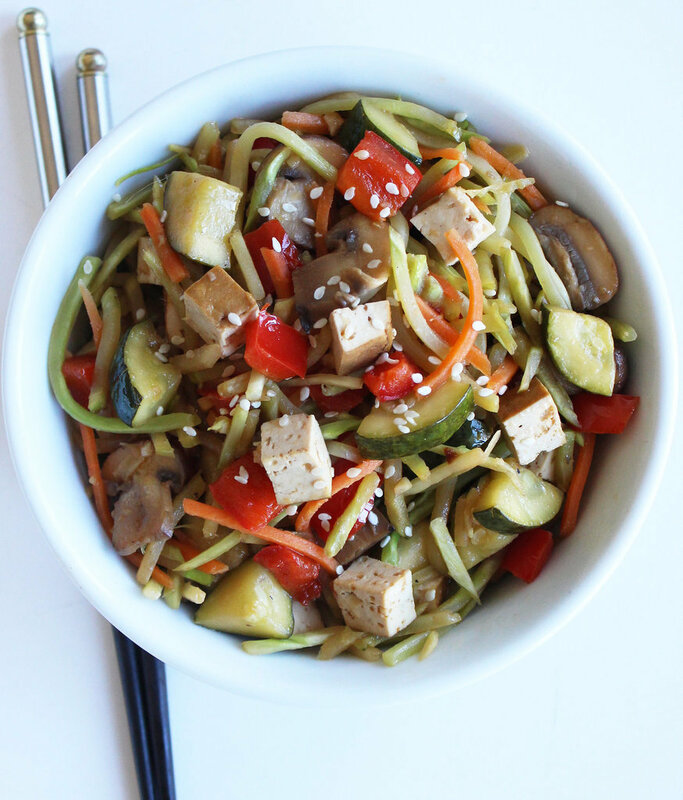 This one gets a boost of protein from tofu and bonus! It only takes about 15 minutes to cook. You can get the recipe here. 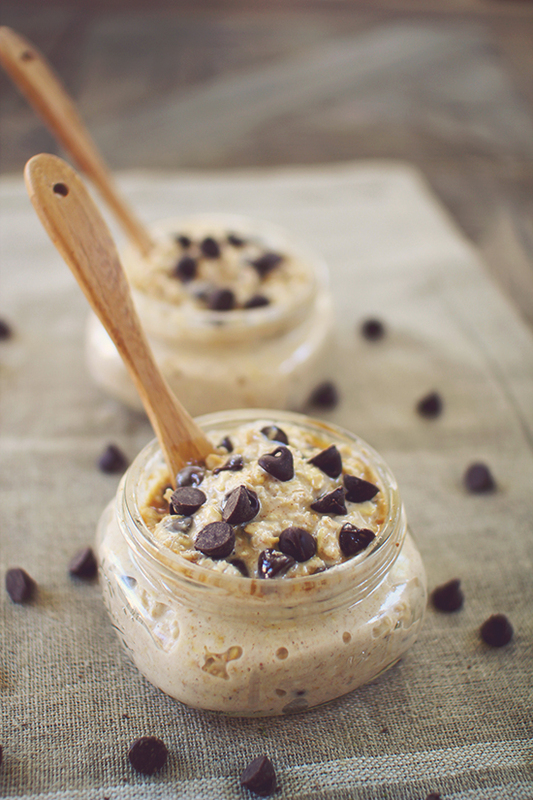 Peanut Butter Overnight Oatmeal: There are 30 grams of protein in this overnight oats recipe...and you even get to have a little chocolate!! The yogurt goes a long way towards meeting your protein requirement. You can get the recipe here. 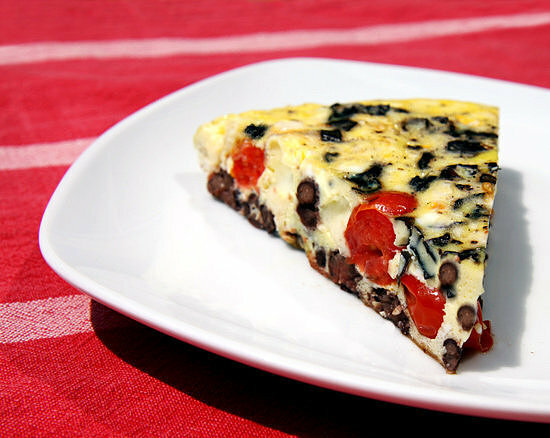 Red, White Bean and Basil Frittata: If you come to brunch at my house, chances are you'll be having a frittata. I love trying different combos of ingredients. This one is high in protein and gets an extra boost from a little cheese. You can get the recipe here.